Lawyers of Kazakh student sentenced for obstructing investigation into the April 2013 Boston bombing are going to appeal, a Kazakh newspaper said Monday. 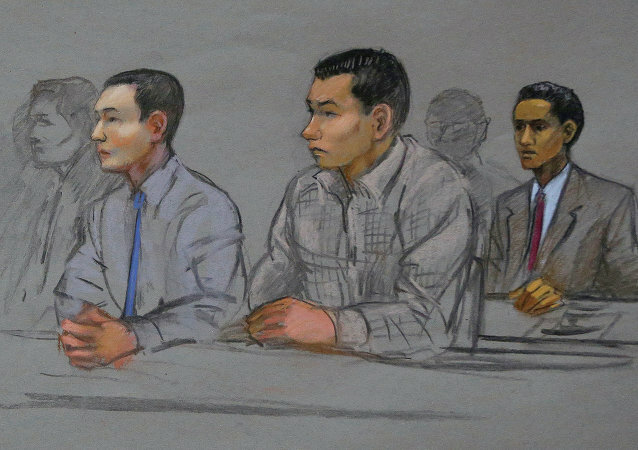 A Kazakh friend of convicted Boston Marathon bomber Dzhokhar Tsarnaev was sentenced by a federal judge on Friday to 3.5 years in prison for obstructing investigation into the April 15, 2013 terror attack, US media reported. Defense attorney for exchange student Azamat Tazhayakov, a friend of alleged Boston Marathon bomber Dzhokhar Tsarnaev said that judge may throw out the case against the student, based on a US Supreme Court ruling in another case. The college friend of the Boston marathon bombing suspect Dzhokhar Tsarnaev, Azamat Tazhayakov is willing to testify against him in court, the Boston Globe reported on Wednesday, citing the attorney for Tazhayakov. A Boston Marathon Bombings suspect’s friend Azamat Tazhayakov has been found guilty of obstructing the investigation into the deadly explosions which killed three and injured over 260 people on April 15, 2013, Reuters reported Monday. The father of a student from Kazakhstan who is accused of obstructing justice in the United States over the Boston bombings has been stripped of his seat on a city council in the Central Asian nation. Two friends of Boston Marathon bombing suspect Dzhokhar Tsarnaev pleaded not guilty in US federal court in Boston on Friday to charges they hindered the investigation into the April 15 attack, US media reported. Another college friend of Boston Marathon bombing suspect Dzhokhar Tsarnaev was indicted Thursday on charges he lied to police during the investigation of the April 15 attack, US officials announced. Two college friends of Boston Marathon bombing suspect Dzhokhar Tsarnaev pleaded not guilty in federal court in Boston Tuesday to charges they impeded the investigation into the April 15 attack by allegedly disposing of items they found in Tsarnaev’s dorm room at the University of Massachusetts-Dartmouth. US authorities have arrested three college friends of the surviving Boston Marathon bombing suspect, two Kazakh men and a US citizen, on suspicion of lying to investigators and obstructing justice in connection with the deadly bombing, federal prosecutors in Boston said Wednesday.